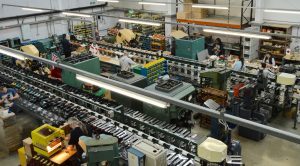 Earlier this month we had the privilege of visiting International Dance Shoes in Milton Keynes, UK, and to see their fabulous shoe factory. International Dance Shoes are suppliers for the ‘Strictly Come Dancing’ series and they are one of the very few specialist footwear manufacturers left in England. It was great to see their craftsmanship and passion for making shoes here. The factory was established in the UK back in 1980 and since then they have built their brand as one of the finest in the field of dance footwear manufacturers. For over 30 years professional and social dancers have chosen IDS shoes because of the comfort, the high amount of craftsmanship and because they keep developing and improving their product. One of the keys to their success is to continually solicit feedback from dancers that actually wear their shoes to keep their products ahead of its competitors. Owners, Rashmi Patel, and his son Justin Patel, express a huge passion for the brand and the industry it supplies. Rashimi is constantly on the factory floor making sure the shoes are finished to perfection, and both Justin and Rashmi are constantly talking to the dancers, visiting trade fairs, like Lineapelle, looking for new trends and materials. Together they are constantly in the process of creating new products with new technologies and design innovations to maximize the dancers performance and enhance the exceptional comfort built in to their shoes. Ladies dance shoes are very different to a ‘normal’ court shoe. Dance shoes need to provide stability, cushioning and comfort. The outsole is made from Suede and is super flexible at the ball of the foot. Normal court shoes are usually made with hard tunit outsoles, which do not provide much flexibility or cushioning. The Patel’s also use a few secret ingredients, which makes their shoe extra comfortable and flexible, but unfortunately we are not allowed the reveal these secrets! All heels are made in house and covered by hand. 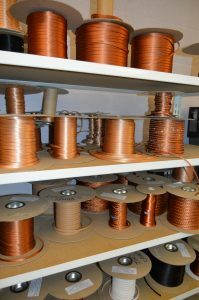 Their materials come from local suppliers or from well-established European manufacturers, which keep their products to the very highest standard. They use high quality leathers, suede’s, satins and other textiles but also high quality materials for their insole boards, heel stiffeners, top pieces etc. IDS do not economise on materials, as this is a crucial part of what makes the shoes so beautiful and durable. Their craftsmanship, like the French binding, and the way the straps are all prepared to perfection is really outstanding. IDS also offer customisation where dancers can add their initials or name to a shoe or even order a bespoke shoe with unique width, materials or colour. Customisation is the trend that is predicted to grow in the footwear industry so it’s super cool that IDS is responding to this already and it shows how up to speed they are with the modern manufacturing technologies and trends. International Dance Shoes also do private label collections where brands can create their own designs using the technical skills of the company. 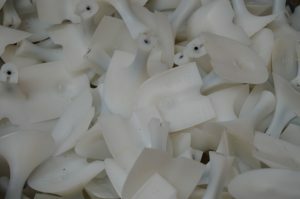 IDS also have the technology to produce resin heels for other shoe manufacturers. So if you need a manufacturing partner to mass-produce these for you please do contact IDS through the link provided below. Do you want us to visit your factory and blog about it? Hi, Neat post. There’s an issue along with your site in web explorer, might test this? IE still is the market chief and a big element of other folks will leave out your magnificent writing because of this problem. Thank you for the heads up! Will look in to this!